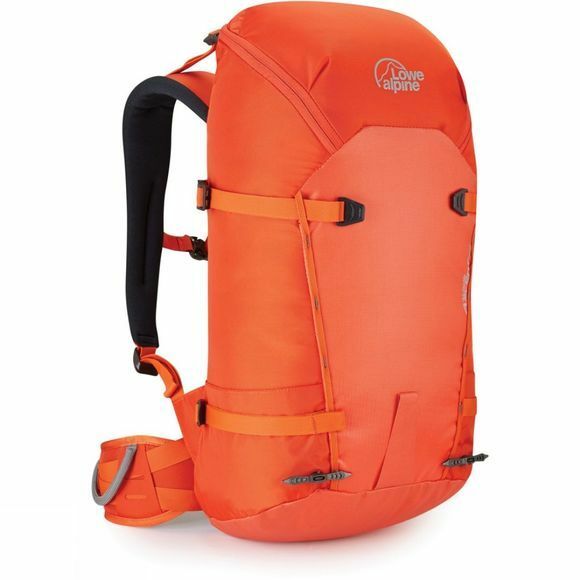 The Alpine Ascent 32 Large Rucksack from Lowe Alpine is a clean-line and lightweight pack, the perfect companion for high alpine peaks, winter climbs and summer rock routes. This lightweight top-loading pack is ideal for when you want to travel a bit lighter and faster with just essentials. It features gear loops, a top tensioner rope holder and harness compatibility, making it brilliant for long summer rock climbs high in the mountains. Ever versatile however, it is also fully equipped to take on snow and ice with it's unique double HeadLocker ice axe attachment system, mitt-friendly winter buckles and ice screw krab slots.